Hot off the heels (hot on the heels?…whichever) of Mario Is Missing! We’re talking about the next Radical Entertainment and The Software Toolworks jam: Mario’s Time Machine. 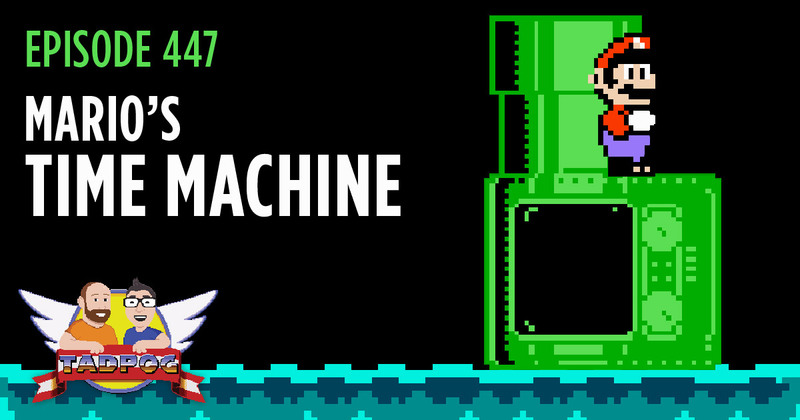 Ah, Mario’s Time Machine. It most certainly is a game. Thanks to Mastermold Mike Lanham for a surprise gift. DAVE WORD SLAMS HIS BOSS! We discuss the kind of person who works out in jeans, we talk about fake breasts, we recall what it was like to make our moms cry for the first time, and we pitch the Summer 2018 NES Classic. Tyler didn’t make any notes for this episode, so you know how good this one is going to be. Did you use a poop knife growing up? Remember that episode we did on Super Mario Bros?